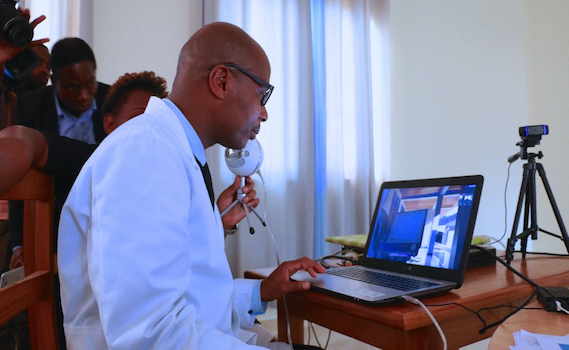 The government of Rwanda through the Ministry of Health has inaugurated Telemedicine at Shyira District Hospital in Nyabihu District, Western Rwanda to facilitate the access of health professionals’ opinion during patient diagnosis and treatment. The telemedicine equipment donated under a great partnership between the Rotary clubs from Musanze, Burera and the Global Offsite care Shyira to high level health facilities in Rwanda and internationally to get a second opinion by specialists, supporting diagnosis and capacity building and reduce face to face interventions. “Telemedicine enables us to help patients to get access to timely treatment through sharing their symptoms hence fastening the diagnosis,” says Theoneste Rubanzabigwi, Director of Shyira District Hospital that is enjoying new and very well equipped buildings offered to the Nyabihu residents two weeks ago by President Paul Kagame. Innocent Turate, Director of Institute of HIV/AIDS, Disease Prevention, and Control (IHDPC) at Rwanda Biomedical Centre (RBC) says telemedicine will also benefit the Hospital through capacity building trainings for health professionals at almost zero cost. 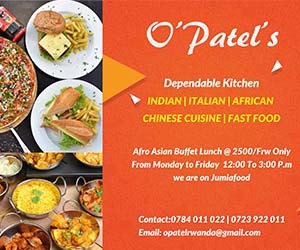 “One on one trainings are costly but will this new initiative be educative in online conferences, trainings will be availed on different health issues without requiring people to move,” says Dr Turate. He also added that the initiative will also minimize patient transfers since medics will be able to collaborate with different specialists countrywide. Telemedicine will cut on down on transfer costs like dispatching ambulances taking patients to different transfer destinations. “We are glad about this initiative. It will help us comfortably access treatment from our home area and cut on the expenditure on food and other necessities we usually incur when our patients are transferred to Kigali, “says Claudine Uwamariya, Shyira resident. The initiative was done under a great partnership with the Rotary clubs from Musanze, Burera and the Global Offsite care represented at the ceremony by the Ambassador, Princess Dr Franses KEMELAGHA.